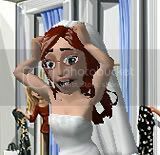 Relentless Bride® Weddings, Wedding Planning, Life & Marriage: Rethinking my Palette!! My color Palette that is! Initially, i wanted to go with my favorite color... Yellow. I am yellow (100% Korean). I love the color yellow. Wedding is in March, so it's not fully spring, but close enough... Sounds great, right? So What's wrong with Yellow? But lately, I've been rethinking my Palette. You see, Yellow is beautiful, but yellow often doesn't look good on many people. Also, the perfect yellow is hard to find. I also thought of Champagne, which is beautiful as well but then i thought... Maybe i should rethink the whole thing. Maybe i can go with something more dramatic, or darker, or bolder... My first instinct is always good, but maybe i should keep ALL my options open. So what do you think? What colors are you having at your wedding? Is it season based? How did you decide? We had it pretty easy when it came to colors, we just both threw in our favorite. I did just attend a navy and yellow wedding (pictures of it are on my blog) and it was really pretty. My best friend did a green, yellow and purple wedding so those who couldn't wear yellow had a few other options. That could be a good thought have three colors to make it all work. Yellow is a great choice and so is that dress! 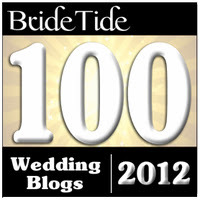 We did champagne gold dresses and navy tuxes and it turned out gorgeous! Three of my BMs were fair skinned and blonde, so it looked nice and three were olive skinned and brunette so the gold color looked great on them too. I liked the Navy more than Black, too b/c everyone does black really! I've just did yellow paired with gray for a shower - very chic! I personally love the champagne gold color. It is actually the color I am thinking to my own wedding… :-). But hey…there is absolutely nothing wrong with the yellow. It is a very good choice as well, and that dress by the way, is so cute!! I love the idea of a bright canary yellow. 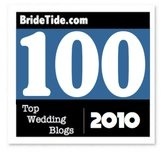 You should check out julie + todd's wedding blog. Yellow is one of her colors and she has some of the greatest ideas! I DON'T LOOK GOOD IN YELLOW! that should be reason enough!! Hahaha, just kidding. I love yellow - and that dress is fab. Really really cute dress. If you don't want yellow as your main color, have you thought about using it as an accent - like in the flowers or something?? That's what we're doing with my wedding - I love orange, so we're incorporating it into the details. So, why CAN'T you use yellow?? Why not split the difference, dress your girls in gray or charcoal since it looks so elegent and chic but have them carry yellow flowers (yellow and gray look awesome together) and then have all of the other accents be yellow (favors, centerpieces, etc...) so that you can still have what you had envisioned! I love yellow... it is really you! Plus whoever stated that there are different shades is right. And, you can go bold with yellow.... sorry but I still think you should do yellow. I love yellow! Why are you rethinking it? i love yellow too. it's so cheery. why not go with it? I like a lot of colors too, but I don't always look good in them. If you are in love with yellow then do it. Maybe just think of different shades to go with different skin tones. Nothing too drastic but something that won't make you grimace in later years. I really like that color blue, the gray is also very pretty. Wedding Shemdding. . .do what you like. Whatever that is. We are incorporating gray into our wedding. I wanted to use a neutral color, but not brown or black. I've seen some really awesome pictures based on what colors you use with the gray. i like bridechka's idea...the grey is pretty, untraditional - and won't take too much attention from you... ;) but the yellow dress you chose is awesome...or go with the navy and yellow idea, are the boys going to wear navy? lol! i'm glad it's not just me with the going crazy over color choices!! can't wait to see what you decide!